International House, two brick buildings merged, seven storeys of offices with shops at street level, built circa 1925. The building was refurbished in December 2000. In September 1989 a delegate of the Minister for Local Government & Planning declared that the building (listed in the Central Sydney Heritage Inventory) shall not be harmed except in accordance with Division 8 of Part VI of the Heritage Act. Listed on the Central Sydney HLEP 2000, Heritage Inventory No 4211 in April 2000. 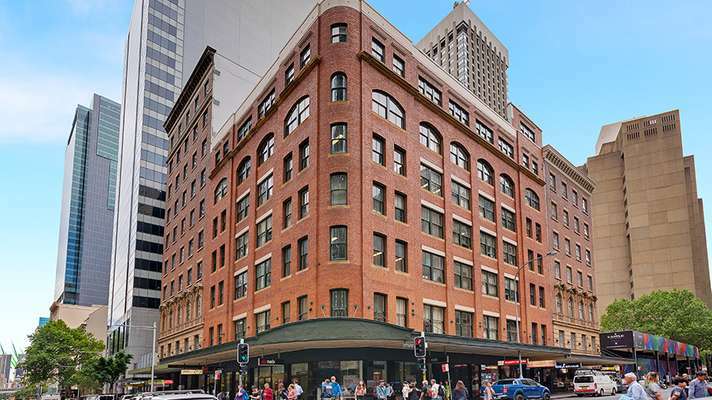 Suite 10 is an open plan office and a short walk to the some of the cities main attractions, like the QVB, Capitol square,Hyde park and many more. Also walking distance to Town Hall station.